Built Circa. 1885; Venetian Gothic Style; Four Floors; Original Features ;Stain Glass Ceiling to the First Floor; Separate Basement Area; City Centre Financial District Location; Close to Local Bars/Restaurants. "The library survives solely off membership subscriptions and those subscriptions have fallen in the last few years which means we have had to sell this building in order to preserve the library institution." All factually correct, it is also one of the few buildings built in this period that still retain their original use (see Jonathan Schofield's historical context below). Perhaps not for much longer. 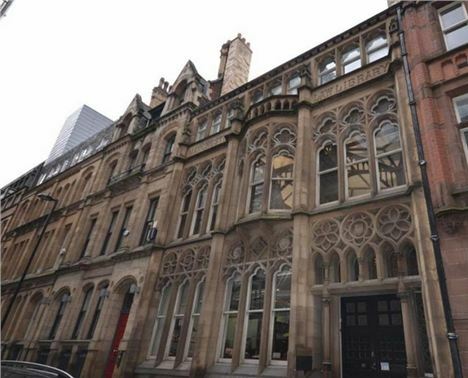 The building on Kennedy Street just off Albert Square was sold and contracts exchanged earlier this year but the private buyer now wants to sell on the contract and is looking for just shy of £1m. It’s a gem, a magnificent Manchester masterpiece. A piece of the city's history most of us don't even know is there. It’s still being used by bookish lawyers doing research in the reading room and there’s a suite of serviced offices on the top floor. The cellar is apparently stuffed full of thousands of dusty books that haven't made it onto the limited shelving. 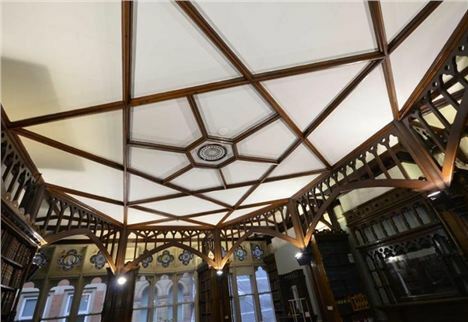 Still, there’s not much money to be had in libraries and the likelihood is that the Manchester Law Library will be converted into offices or a spa hotel or maybe even serviced apartments. The indignity. "The library survives solely off membership subscriptions and those subscriptions have fallen in the last few years which means we have had to sell this building in order to preserve the library institution. The library service itself will very much be continuing, just elsewhere. "We have tried every initiative possible to try over the years to boost membership and income. The decision to sell wasn't one that was taken lightly by any means." See the property on Rightmove here. Look at most 19th century buildings in central Manchester and they don’t retain their original use. All the warehouses and industrial buildings, the Ancoats mills for example, have been reinvented as apartments, offices or hotels. Thomas Hartas’s Law Library is one of the very best Victorian buildings in Manchester. In terms of fitting in with the scale of the streetscape in Kennedy Street, yet managing to be as florid and ornate in its Venetian Gothic styling as a fancy jewel box, it's a star. In its category of size it's perhaps the best little Victorian building in the city centre, along with Mynshull’s House on Cateaton Street, between Harvey Nichols and the Cathedral. It's sad that Hartas’s building might lose its original function, although in the age of the iPad, and with its narrow subject range of law tomes, it’s perhaps inevitable. 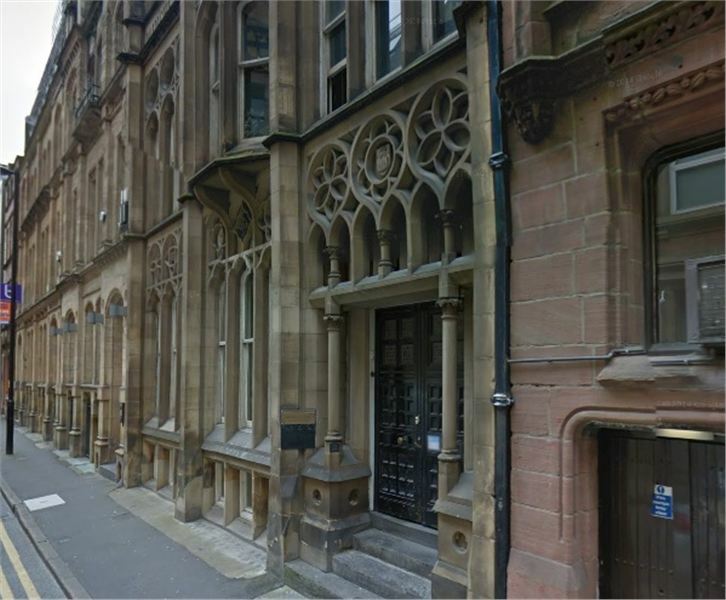 While we have Chetham’s, Central, John Rylands and the Portico libraries, Manchester can still count itself lucky in the range of its collections and the beauty of the buildings which contain them. But there’s a something odd about Thomas Hartas’s building as well. The Law Library is the oddness. This superbly delivered building is Hartas's only monument, he’s not mentioned with regard to any other building, he doesn’t appear in the records at all, he's Mr Nowhere Man. That this is a one-off given the talent on display is peculiar. Maybe he got fed up with designing after this one building. Maybe all the architectural records have got the name wrong. Still if it was Mr Thomas Hartas who gave us the Law Library then he picked a damn fine way to start and a damn fine way to end.